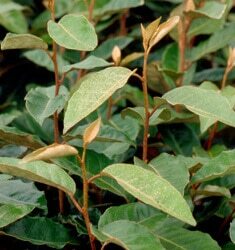 Upright and dense; has green leaves with silver bottoms. hedge, seacoasts. Salt tolerant. Birds are attracted to fruit.